It looks like UK mobile operator Three will start selling the Samsung Galaxy Tab in the near future, as they have just listed Samsung’s Android tablet on their coming soon page. Three have yet to give any information on how much the Galaxy Tab will cost, and there are also no details as yet on what data plans will be available, although we suspect it will be similar to the Apple iPad plans. 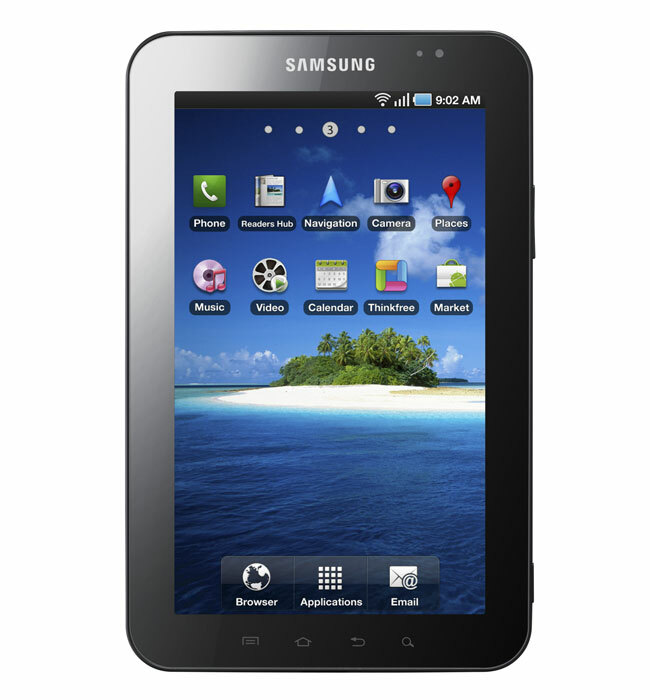 The Samsung Galaxy Tab features a 7 inch touchscreen WSVGA display and it comes with Android 2.2 Froyo. It is also a fully functioning phone, it is capable of making and receiving voice and video calls plus SMS, MMS and email. Other features include a 3 megapixel camera on the back for taking photos, and a VGA video camera on the front for making video calls.